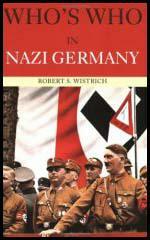 In August 1931 the Nazi Party decided to have its own intelligence and security body. Heinrich Himmler therefore created the SD (Sicherheitsdienst). Reinhard Heydrich was appointed head of the organization and it was kept distinct from the uniformed SS (Schutzstaffel). When Adolf Hitler became chancellor in 1933 the SD was given extra power to deal with all opposition to the Nazi government. On 30th June 1934, the SD played an important role in the Night of the Long Knives. In 1936 Richard Heydrich became head of the SD and the Gestapo. On the outbreak of the Second World War both these organizations became part of the Reich Security Administration (RSHA). After Heydrich was assassinated in 1942 Heinrich Himmler became the leader of the SD. The following year he was replaced by Ernst Kaltenbrunner. There was great competition between the SD and the German military intelligence organization, Abwehr. In June, 1944 Himmler took over Abwehr and after the July Plot the organization was absorbed into the SD. At the Nuremberg War Trials the SD (Sicherheitsdienst) was declared a criminal organization and membership of it made its men liable to prosecution.